Grace Sette works with Tiller, LLC as a strategic consultant and is founder and principal of Sette Marketing & Communications, LLC. Grace is a seasoned marketing and communications professional with over 25 years experience in working with some of the world’s leading financial services brands. From large-scale integrated brand campaigns to individual product marketing to corporate communications, she has a deep understanding of the interactions between financial advisors and their clients as well as the insight necessary to create messaging directly targeted at a variety of audiences including advisors, individual and institutional investors, shareholders and employees. 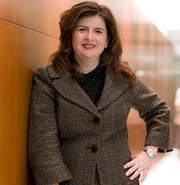 Prior to founding Sette Marketing & Communications in 2011, Grace was the Global Chief Marketing Officer at BlackRock, a global investment management and risk advisory firm. Responsible for the firm’s global marketing strategy and activities worldwide, she was instrumental in re-branding and integration efforts associated with three mergers during her tenure there. Before becoming CMO, Grace was head of Enterprise Marketing, a centralized team responsible for marketing communications, print advertising, broadcast media, event planning, investment communications and eBusiness. Grace joined BlackRock in 2006 following the firm’s acquisition of Merrill Lynch Investment Managers, the investment management division of Merrill Lynch. While there she served as head of Brand Marketing and Communications for the Americas region and as director for both the alternative investments and Defined Asset Funds product areas. She also held positions in the international private client division of Merrill Lynch Capital Markets as well as in Merrill Lynch’s investment banking unit and global equity and debt trading areas. Grace earned a BS degree in Biology from Lafayette College in 1983.